Buzz Lightyear Planet Rescue Tomorrowland attraction at Shanghai Disneyland; opened June 16, 2016. 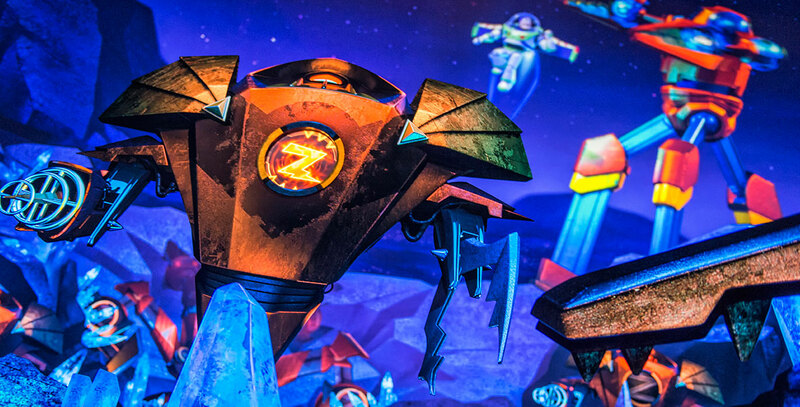 Using pulse blasters to fire at Power Source Z’s, guests join Buzz Lightyear on an interactive adventure to infiltrate Emperor Zurg’s secret lair and eliminate a dangerous crystal-powered Superblaster. See also Buzz Lightyear Astro Blasters.